In a recent IT contract negotiation, the other party’s lawyer insisted that the choice of law clause call for Delaware law and courts. His client wasn’t based in Delaware and neither was mine. And our IT project wasn’t happening in Delaware. Why then choose Delaware law? Because Valerie Bertinelli comes from there–or because it was the first state to nominate a self-declared witch to the U.S. Senate? No. “Delaware has the best laws,” replied my negotiating counterpart. That’s a claim you hear a fair amount, but it’s based on a misunderstanding. Delaware has a special claim to quality corporate laws. But the Delaware advantage doesn’t apply to the laws governing IT contracts. The Delaware State Capitol, where they keep the General Corporations Law fresh and flexible. 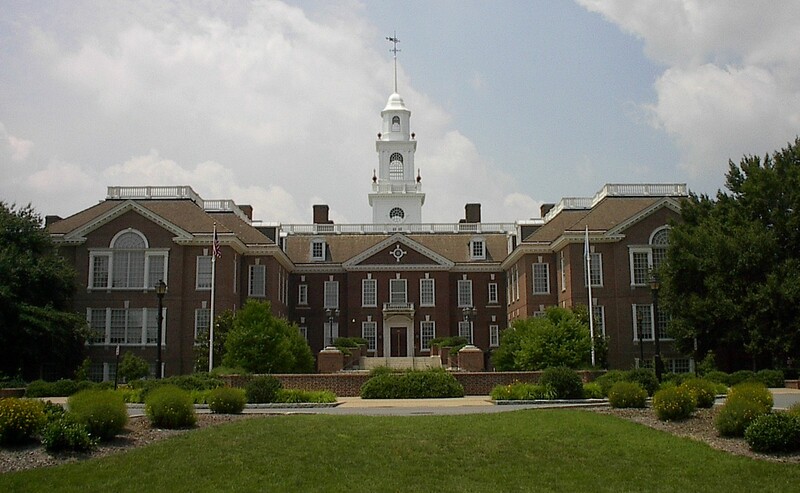 Delaware’s nickname is “the First State” because it was the first to ratify the U.S. Constitution, in 1787. But the name could just as well apply to Delaware’s role in the corporate world. More than half of America’s publicly traded corporations are incorporated there, and so are countless privately held companies from all over the country. Many of these companies do no business in Delaware. They incorporate there because they like the flexibility of the state’s General Corporations Law. It gives businesspeople lots of options related to corporate structure and shareholder relationships, and it doesn’t impose a lot of minority rights or “good conduct” rules. Companies also like Delaware’s corporations court: the Court of Chancery. Since Delaware snatched the corporate law number-one spot from New Jersey early in the 20th Century, the Court of Chancery has been the nation’s most active corporations court. So it’s got a lot of institutional experience and a well-developed set of common law rules on corporate governance and shareholder battles. In other words, Delaware is great for corporate law: for the rules governing company structure and shareholder rights. But those laws don’t govern IT transactions. Tech deals are commercial contracts, often with a healthy dose of intellectual property thrown in. So they’re governed by state contract law and federal IP law. Delaware has no special advantage in those areas. If you insist on forum shopping in your IT deals–on trying to find the “best” courts and laws–you should consider California. The Golden State (or maybe the Silicon State) does the most IT-related business and so has the most tech-savvy courts and laws, just as Delaware has the most corporate-savvy courts and laws. (Note my bias as a California lawyer.) But I don’t recommend forum shopping. Among other issues, choosing courts and laws with no connection to your deal may invalidate your choice. If no party is based in Delaware or California or whatever state you choose, and no work related to the deal happens there, many courts will ignore your choice. So by getting tricky with your choice of law and courts, you’ve lost the chance to decide. What, then, should you do about choice of law and courts? First of all, you should choose the same state for both in most deals. That way, if you ever go to court, your judge and litigators will be addressing the laws they know best. As for which state, I recommend the one with the closest connection to the deal. If you’re building computer systems in Georgia–or installing software there or whatever–choose Georgia law and courts. If your deal involves work in multiple states, choose one of them: ideally the one where the most work will get done. That state’s laws will be the most familiar to the businesspeople and lawyers involved in the deal, and its courts will be the closest to witnesses and evidence. You should only consider a different state if one of the parties is based elsewhere, or both are. (And I do mean based. For IT deals, it rarely matters where anyone’s incorporated.) A base of operations in Texas might mean the staff knows Texas law best, and in case of litigation, most evidence and witnesses can be found there. Plus, some companies insist on their home turf, and there’s nothing wrong with that (though the other party doesn’t necessarily have to agree). In other words, your choice of law and courts clause should follow the same rule as the rest of your contract: keep it simple. The Tech Contracts Handbook addresses choice of law and jurisdiction in Chapter III.E. The Delaware Department of State, Division of Corporations, puts out a good explanation for the dominance of Delaware corporate law, called Why Corporations Choose Delaware, by Lewis J. Black, Jr. In Delawaree it’s possible to claim ownership over distributed copyright due to ownership anonymity. For this reason, Delaware is used often by Free and Open Source software foundations. This is a huge deal in Ip rights. Stephan, that’s interesting. Do you know what other states have similar distributed copyright rules? For open source contracts, you have a lot more leeway in choosing your state, since there is no real locus of the deal–unlike in other IT agreements, where if you choose Delaware but have no connection to the state, the courts may disregard your choice. is very helpful to us. What if you are negotiating a tech contract with an international entity and you don’t want venue to be outside the US while the international entity doesn’t want your state for venue/jurisdiction? In the past I’ve used NY or CA but they don’t always have a connection to the deal. Thank you for your post, extremely helpful! I’m in the midst of negotiating a software development contract and your excellent article cleared up a lot for my negotiations.